With only 50hours to go for the Superplastic Janky Kickstarter campaign, the guys at Superplastic are verging on the ‘half-a-million-dollar’ mark of their campaign. Less than $9,000 to go to reach $500,000. That would be an amazing achievement from the company run by former Kidrobot owner, Paul Budnitz, and Designer Toy icon, Huck Gee. You can still back their campaign by pledging HERE. 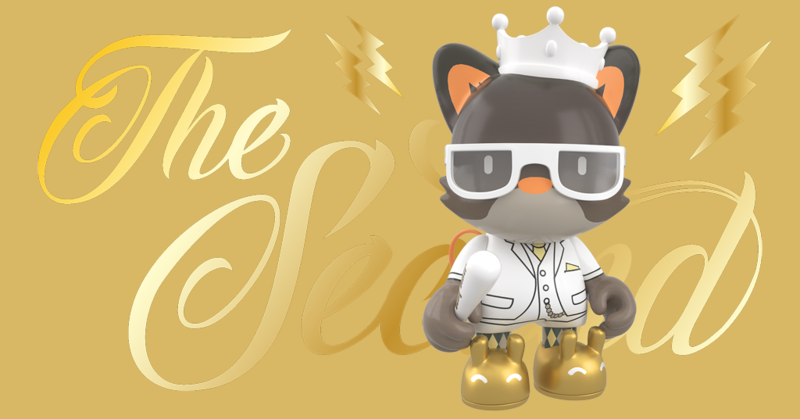 To help incentivise you, Superplastic have released their final addition to the first series of Janky with the reveal of King Janky the Second! This 3inch addition to the Janky family is available for a supplementary $10 added to your pledge. Which you can do so HERE. How to add the right amount to get the King Janky the Second 3inch Janky. 2. Look at the Add-On Menu on the very bottom of the project description. Find the item(s) you want to add. Increase your reward by the corresponding dollar amount. You do not need to add any extra money for shipping beyond the shipping surcharge that is part of your reward. For the 3inch King Janky the Second Janky, you’ll be adding $10 to your pledge. PledgeHERE. In the weeks following June 15th Superplastic will send every backer a survey. In that survey, you will tell them which specific items you want to add on to your reward. You will also have the chance to add Superplastic products to your reward that are not in the Add-On Menu. You will give them your shipping details at that time. ALSO! This works only on Desktop – so if you’re reading this on your mobile phone or PalmPilot, run on over to a desktop computer and start clicking. As an example of how it would look in Kickstarter, we have included our pledge to Janky. It started off as $110 for the Maximillian Ca$h pledge, we’ve added the $70 for the OH NO mcbess and the final $14 is the shipping to the UK. Total of $194! Making it $204 would ensure you get the King Janky the Second figure too. This has been a highly successful campaign by Superplastic. They’ve definitely reinvigorated the Designer Toy scene in some aspects. It feels like a positive campaign and brought folks together like we haven’t seen in some time. Now comes the hard part, they were always going to hit their $25,000 initial goal, but now that they’ve got all Designer Toy eyes on their moves over the course of the next 7.5 months. The fulfilment of Janky was estimated at Jan 2019.